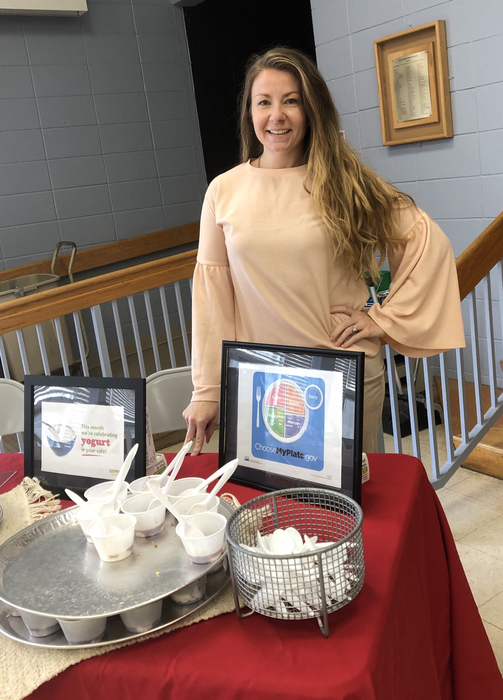 Students at Gallagher Middle School sampled healthy yogurt parfaits today with Food Service Director, Shana DiPetrillo. This is just one of the healthy and delicious offerings from Chartwells! Smithfield Public School invites bids for School Photography Services. Please visit http://smithfieldri.apptegy.us/o/smithfield-public-schools/page/doing-business-with-sps for documentation and further information. Kids Reading Across RI encourages students in grades 4 - 6 to read the same book. You are invited to the kickoff event at the State House on May 4, 2-4 p.m. to meet Molly Brooks, author of the 2019 selection Sanity & Tallulah & receive a free copy of the book. 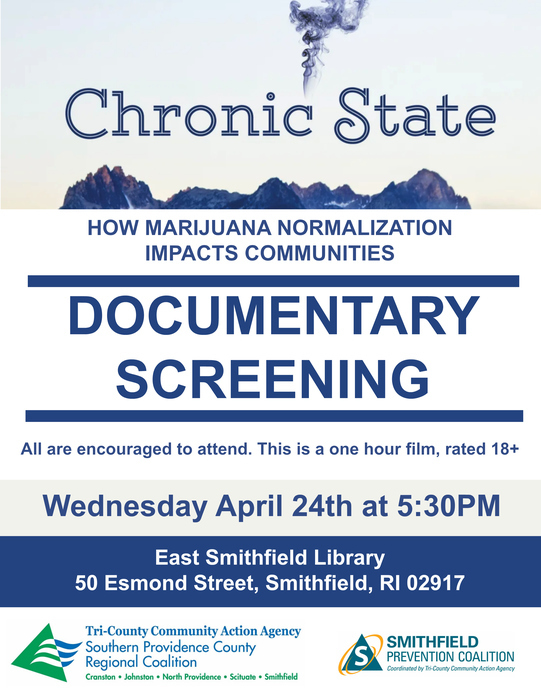 See the documentary, "Chronic State" about how marijuana impacts communities.The screening will be held on Wednesday, April 24th at 5:30PM at the East Smithfield Library in the conference room. 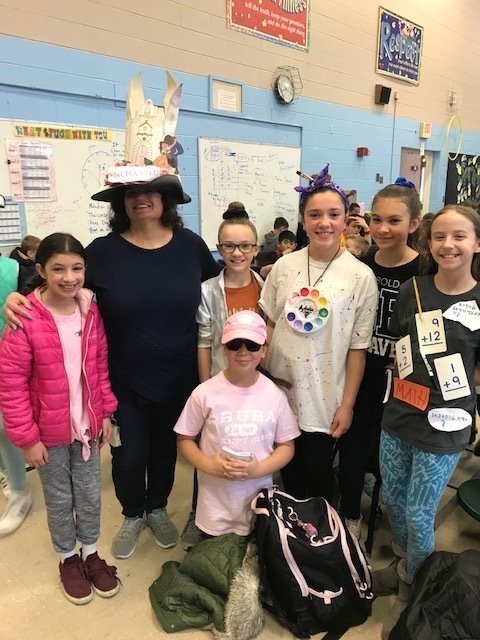 Students and teachers at Winsor dressed up as their favorite vocabulary word today as a part of Reading Week 2019. This is just one of the many activities this week! Celebrate at home by reading to your child. PARENTS DO YOU KNOW WHAT’S HIDDEN IN PLAIN SIGHT? Join us at Smithfield High School on April 10th at 7:00 PM for an interactive exhibit that allows adults to explore a teenager’s mock bedroom. Prevention specialists will guide attendees to be able to recognize & identify signs & symptoms that may indicate alcohol or drug use and other risky behaviors. Science Olympiad Champions! The GMS Science Olympiad team placed first at this weekend's RI competition and will be headed to Cornell in May for nationals. The SHS team placed 2nd out of 25 teams, earning a total of 13 medals overall out of 24 events, their highest number yet. SHS students earn career credentials! Twenty-seven students achieved RIDE certification. Fifteen students took and passed the para pro test at CCRI, certifying them as paraprofessionals once classwork is completed. The Gallagher Dance Team performed for families under the guidance of Barbara Smith-White and Jessica DeRemer. Great job! Hold the Date! Opioid Town Hall Meeting for Smithfield residents. April 30th at 6:30 pm at the Town Hall. Dr. Matt Malek will speak on opioid use disorder and medication assistance treatment. Come hear from a recovery support specialist. 27 SHS students have been trained in the RI Early Learning development Standards and were awarded certificates from the RI Dept. of Education at the March 18th School Committee meeting. Congratulations! 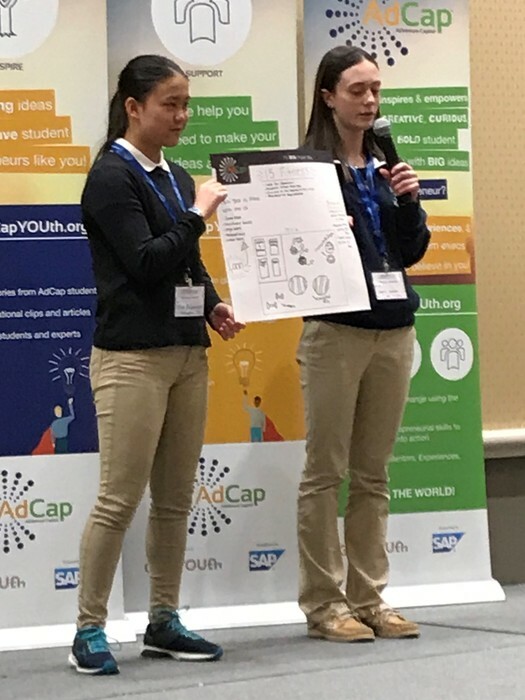 Gallagher Middle School students, Lillie McCormick and Valerie Capalbo, led by teacher Karen Guarino, won a $1,000 prize at the ADVenture Innovation Challenge. Their winning idea was to dedicate the first 15 minutes of a free period to a randomly drawn fitness activity. 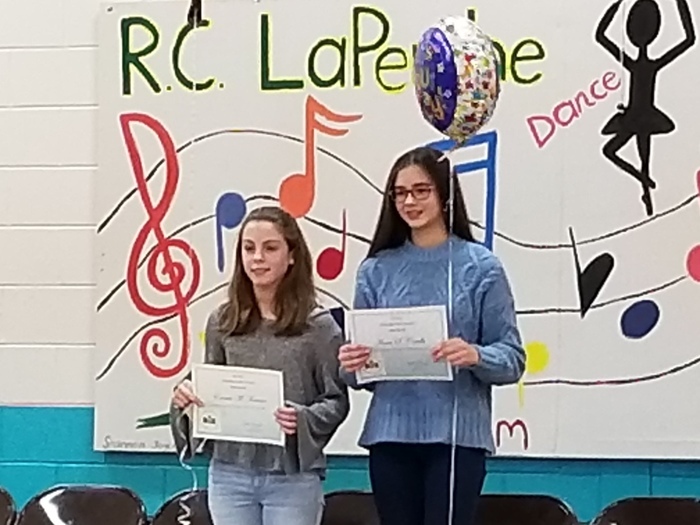 Congratulations to Abby Trainer and Hallie Brown, winners of the Write Rhode Island short story contest! 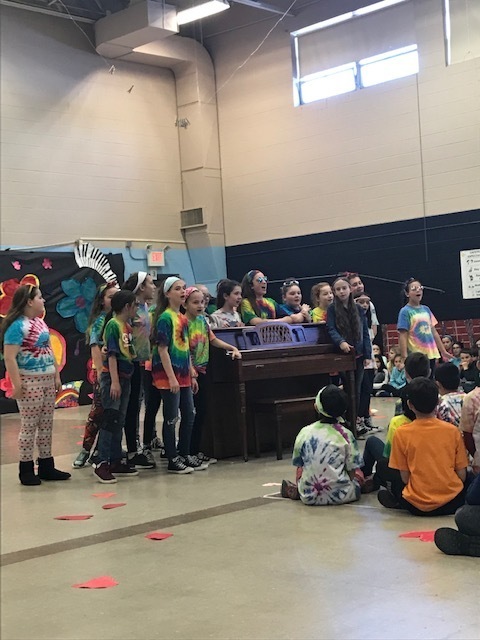 The annual 5th-grade FLAVA event took place at Winsor this afternoon. This performance is the culmination of a 12-week project integrating physical education, music, and art. 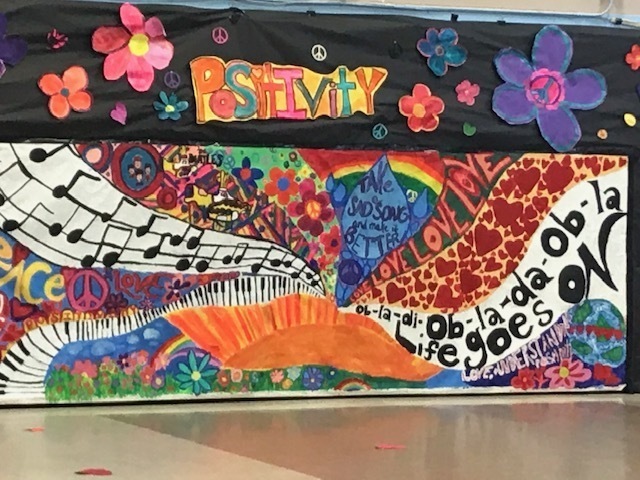 This year's theme is POSITIVITY and the importance of positive messaging. Thank you to Mr. Marino, Ms. Burrows, and Mrs. Preston for their collaborative effort on this project! Tonight's School Committee Meeting has been cancelled. The next meeting will be held on March 18th at 7:00 PM at Smithfield High School. There will be NO SCHOOL tomorrow, March 4th, due to the anticipated snow storm. All after-school activities are also cancelled. Stay safe! There will be a 1 hour delay tomorrow, Thursday, 2/28/19, due to the impending weather conditions. Travel safely everyone! There are three road closures in Smithfield that may affect bus dropoff today (2/25). One is on Woodland Avenue at Waterman Avenue. The second is on Mann School Road between the 2 Conners Farm entrances. The third is at #24 Colwell Road. 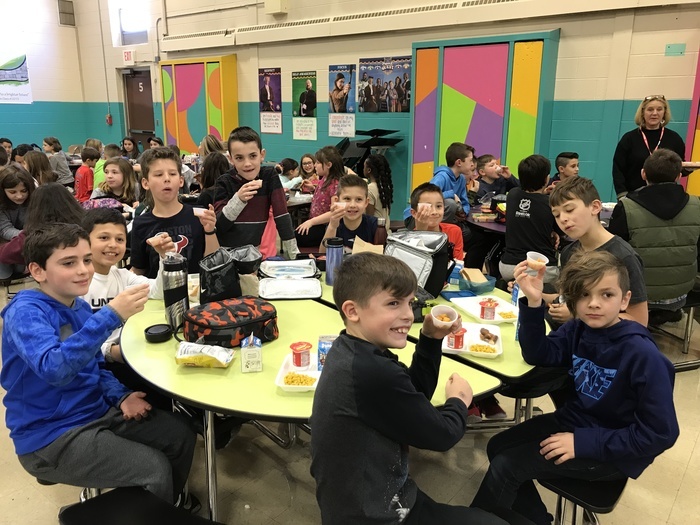 The Smithfield School Committee will be considering the FY20 budget at its February 25th meeting - 7pm at SHS Media Center. The Smithfield Art Department invites you to an exhibition of student art work. February 27th, 3pm- 5:30pm. RI State House, 2nd Fl. Featuring: Eva Chaput, SHS; Kileigh Hodgkins, GMS; Eli Thimas, OCRS; Alana Roman, LaPerche ES; Isabella Ramieri, Winsor ES. Kaya Gaffney, McCabe ES. There will be a 2 hour early dismissal tomorrow, Tuesday, February 12th, due to the impending storm. There will be no after school activities. Mrs. Friel's kindergarten class at LaPerche is singing a science song led by the music teacher, Mrs. Barrette. Right now our budding scientists are investigating the properties of wood. Integrating subject areas maximizes learning. 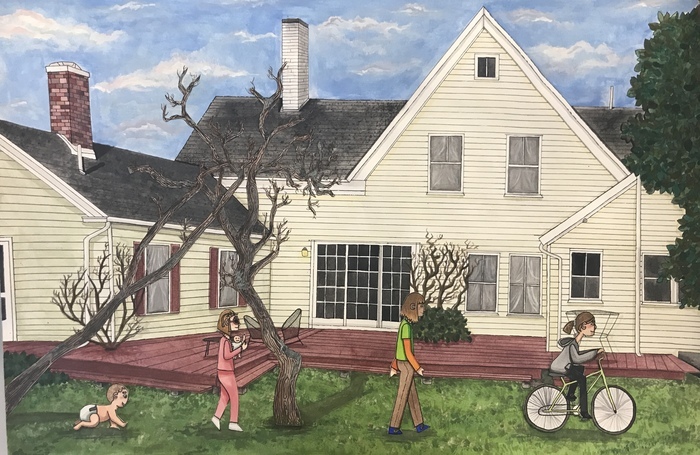 The artwork of SHS student, Eva Chaput, was selected to appear in a RI State House exhibition. The mixed media work is a beautiful rendering of her family vacation home with figure drawings of herself as a baby, toddler, child, and teenager. 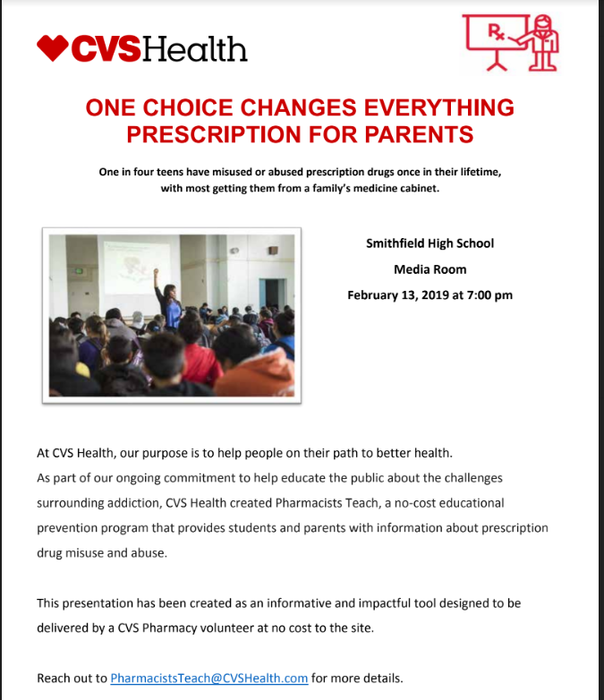 Join us on on Wednesday, February 13th, at 7 PM in the SHS Media Center for this no-cost prevention program about prescription drug misuse and abuse. Thank you to CVS for sponsoring this event. 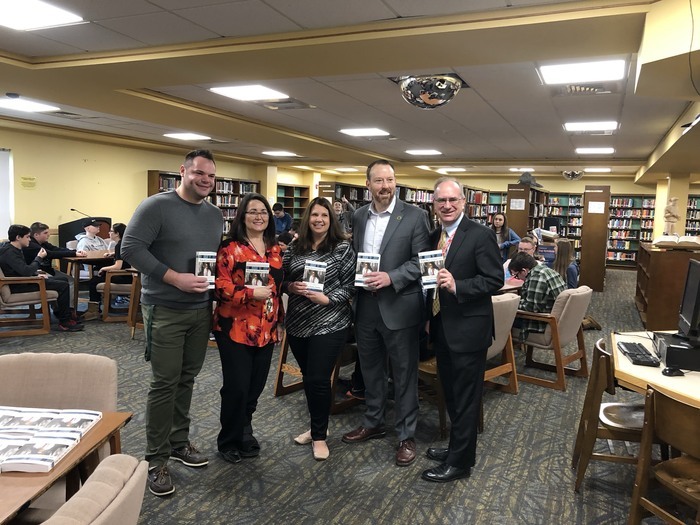 Fidelity and the RI Center for the Book donated copies of What the Eyes Don’t See for the entire SHS Freshman class. Thanks to community partners, we are able to provide enriching experiences for our students. Congratulations to our four-time district spelling bee champion Anna Costello (gr. 7) and runner-up Emma Ferraro (gr. 8)! 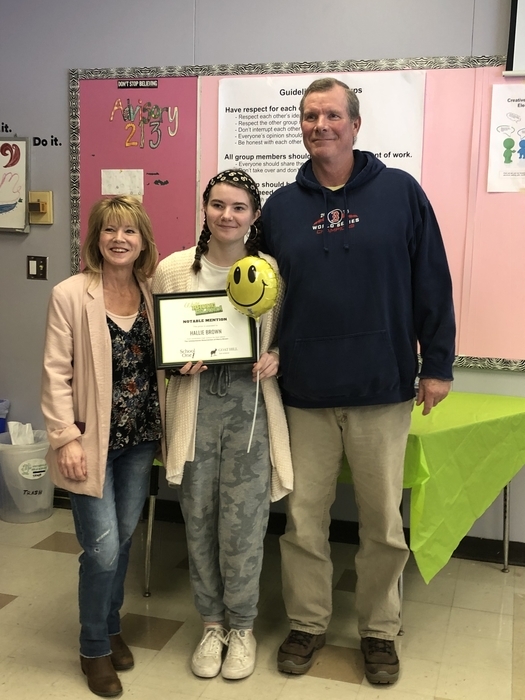 Anna will now represent Smithfield at the RI Spelling Bee at Lincoln Middle School on March 16th, 2019 at 10:00 AM. Come and cheer on this amazing speller! Thank you to our amazing school counselors for the tremendous impact they have in helping our students achieve success. 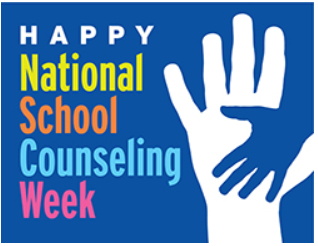 Take a minute to thank your counselor today! The Northern RI Relay For Life--an annual event in June held at the Smithfield High School track involving all Northern RI towns, raises money in the united fight against cancer. A Kickoff event is organized to invite new teams to join in this endeavor. Extremely cold weather tomorrow morning will necessitate that parents carefully supervise students at bus stops. We are planning to start school on time unless issues with buses arise due to the cold weather. Please stay tuned! 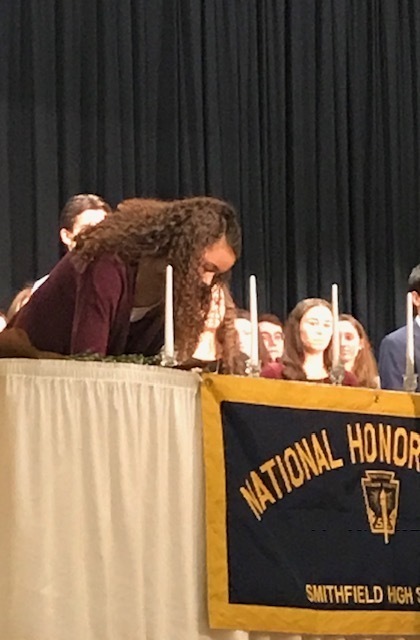 Congratulations to the 49 seniors inducted into the National Honor Society this evening! 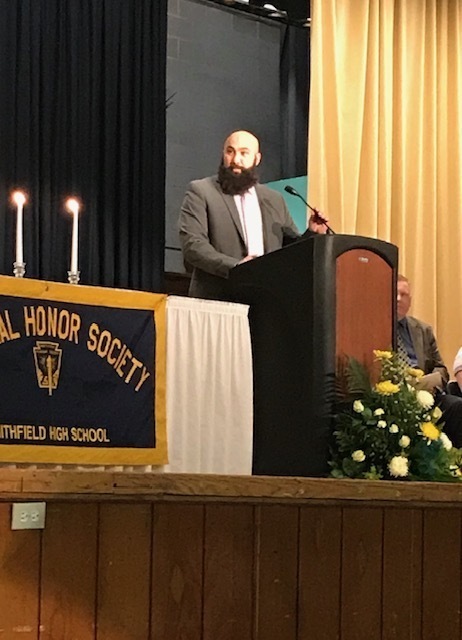 How fortunate they were to hear such an inspirational speech delivered by Smithfield High School alum, Erik Deneault '97, centered around the importance of service. 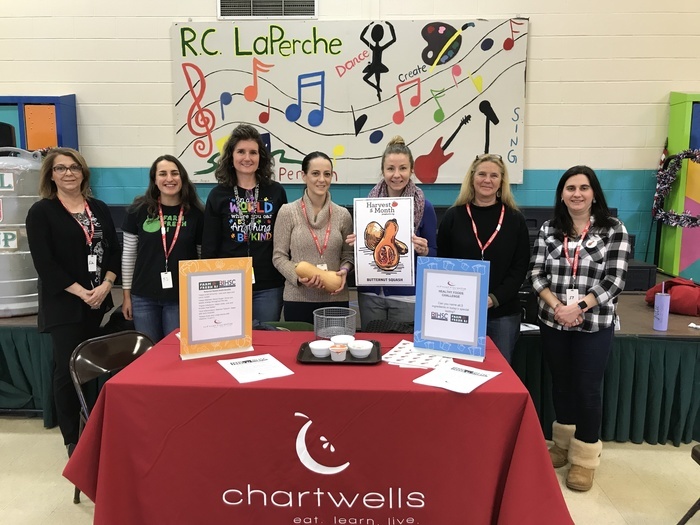 Thank you to Chartwells, Farm Fresh RI, and RIHSC for bringing the Local Food Ambassador Program to Smithfield! 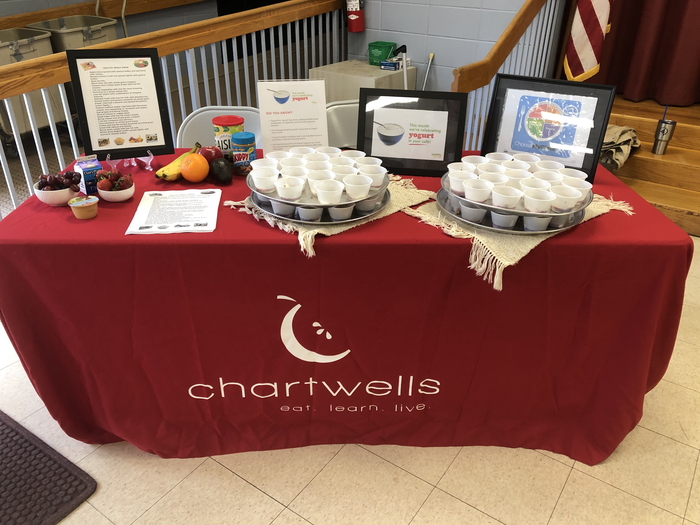 Parents & community members were trained to host cafeteria taste-tests featuring locally-grown produce in the hopes of exposing our students to more fruits & veggies! Smithfield Public Schools will be on a one hour delay for Tuesday, January 22, 2018 to prepare for icy conditions around our schools. 12 month employees should report on time. Even with a one hour delay tomorrow, it's important to bundle up and watch for children at bus stops. Drive safe everyone! 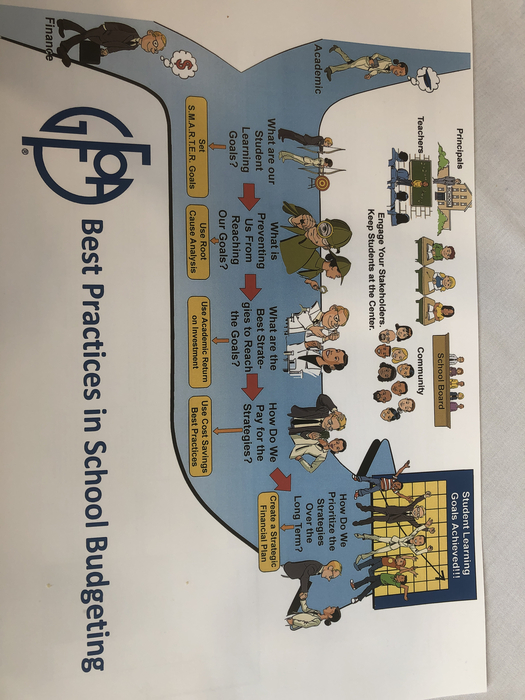 Lisa Cournoyer, SPS Finance Director, and I are learning about best practices in school budgeting - Presented by RIASBO and RISSA. Kuddos to our facilities director, Angelo Mencucci, our middle school principal & assistant principal, Laurie Beauvais & John Burns, & our custodial & maintenance staff for safely & efficiently installing furniture for GMS's 2nd floor. 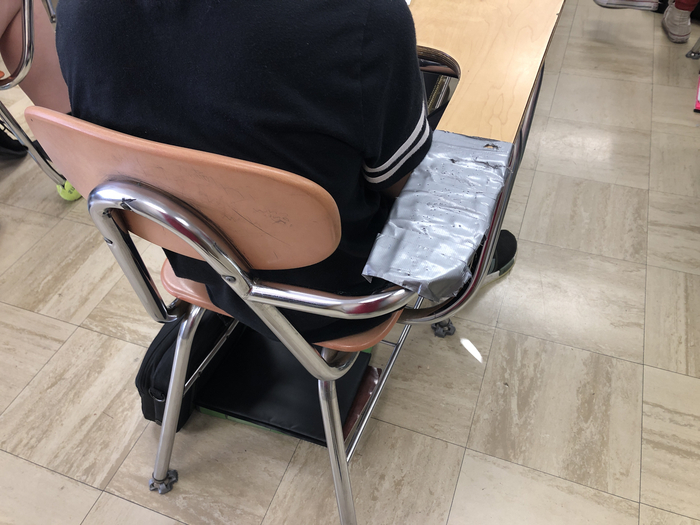 What a difference this makes for students! On December 18, 2018, the U.S. Surgeon General declares use of e-cigarettes among youth an epidemic. E-cigarettes contain nicotine, which can lead to addiction and can cause harm to developing adolescent brains. Kindergarten registration for 2019-20 begins January 28th! Call to set up your appointment today. For more information and registration forms see https://bit.ly/2TBE7av. Children should participate in Child Outreach screening annually, at 3, 4, and 5 years old prior to starting kindergarten. If your preschool child has not yet been screened this school year by Child Outreach, please contact our office for an appointment (231-6608 or cpoyton@smithfield-ps.org). Screening is scheduled to take place January 22-25, 2019 at the School Administration Building on Farnum Pike. 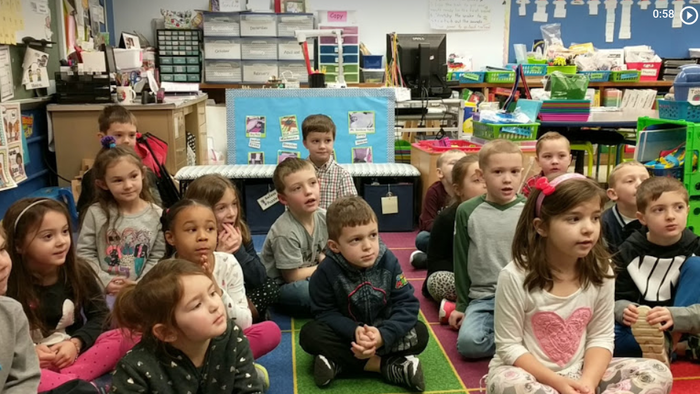 When it comes to Smithfield preschoolers, our goal is to screen Every Child, Every Year! Did you know? While 82% of GMS students reported believing that their friends would think negatively about their use of vaping products, this reduces to 38% for SHS students. 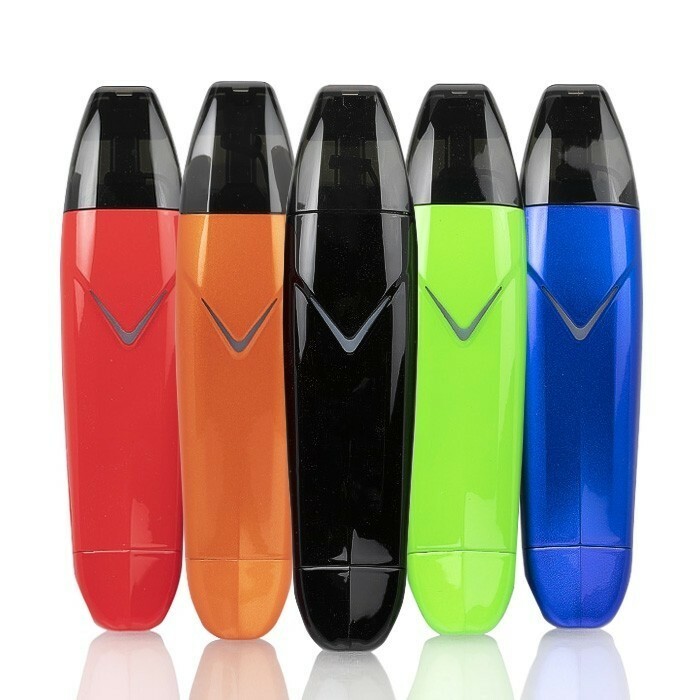 Let's work together to make vaping history. Come to an ‘Open House’ for the Smithfield Education Foundation - January 14 at 4pm in the SHS Media Center. 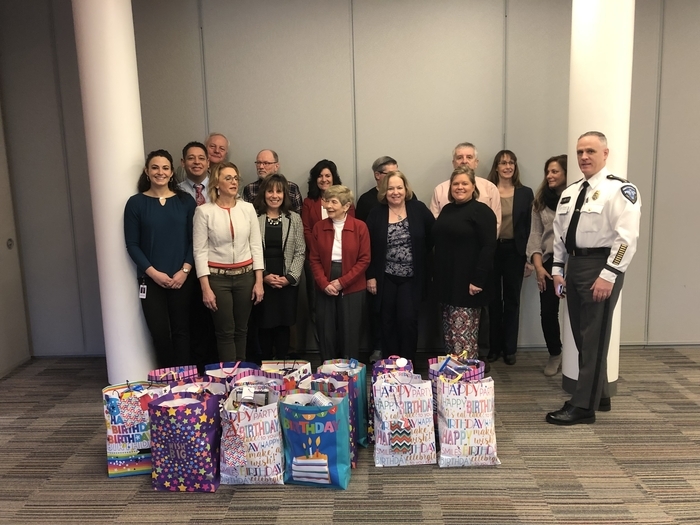 The Smithfield Education Foundation is looking for new volunteers. If you are interested but cannot attend, please contact them at smithfieldedfoundation@gmail.com. Most (>90%) SHS students report that their peers do NOT use illegal drugs, nor consume alcohol, but almost half report that at least one peer uses marijuana. Let's not be complacent nor turn a blind eye. Let's work together to make sure our youth know the danger of marijuana use. Monday night's School Committee meeting is posted on the SC webpage on the district site. On Tuesday of this week we'll also be meeting with the Town Council for a joint meeting (5:30pm at town hall) to enhance understanding of school department budgeting, goals, and operations. 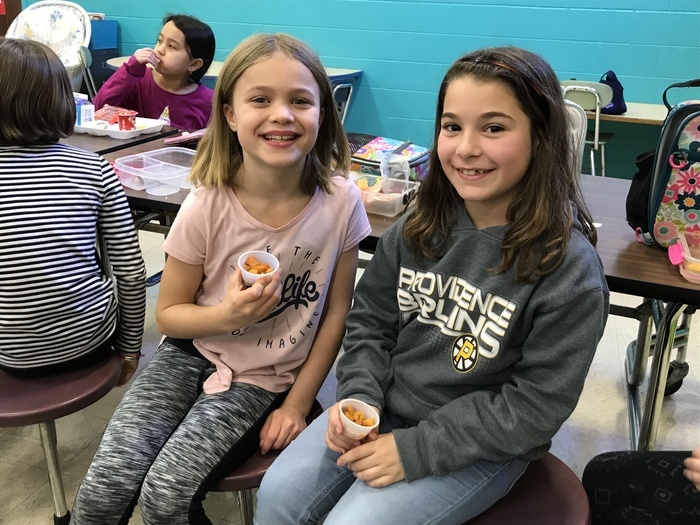 New district newsletter for January, 2019 is available on the superintendent page of the district website as well as through this link: http://bit.ly/2GCdNLT Keep up with all the news in Smithfield schools! We wish you a safe and enjoyable school vacation, a very Merry Christmas, and a Happy New Year! 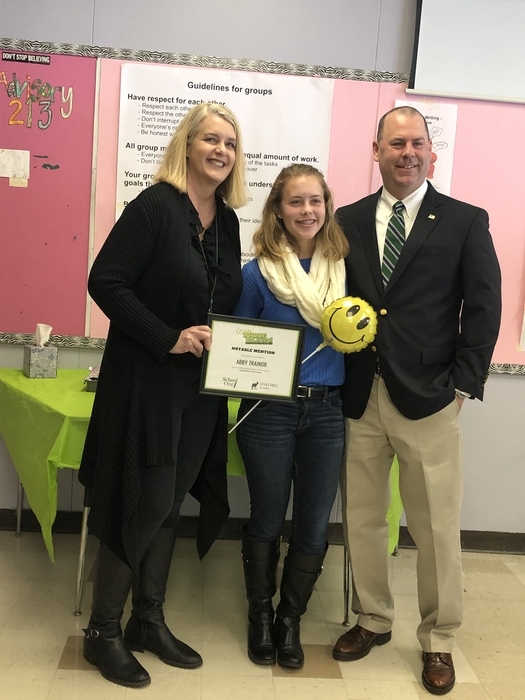 The Smithfield High School Academy of Finance held its Annual Holiday Breakfast on Wednesday, December 19th. 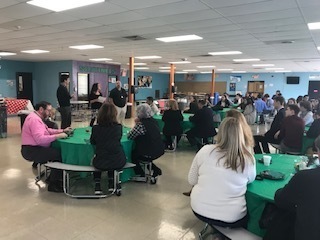 Approximately 90 students, alumni, educators, school administrators, business partners, and members of the school committee gathered to network, reflect and celebrate the past year’s accomplishments. 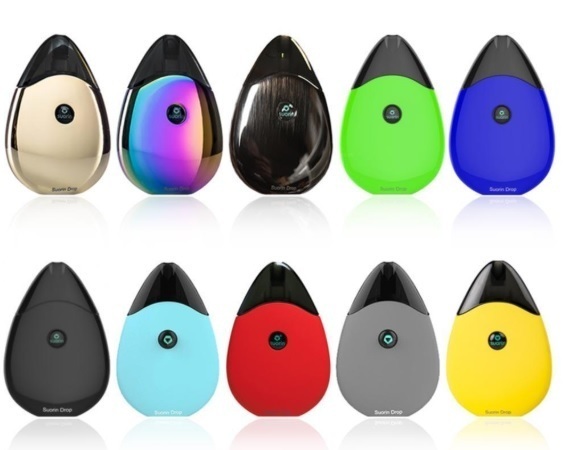 Here's what NOT to put in teenagers' stockings this year... vaping is addictive. Let's work together to eliminate vaping by Smithfield youth. 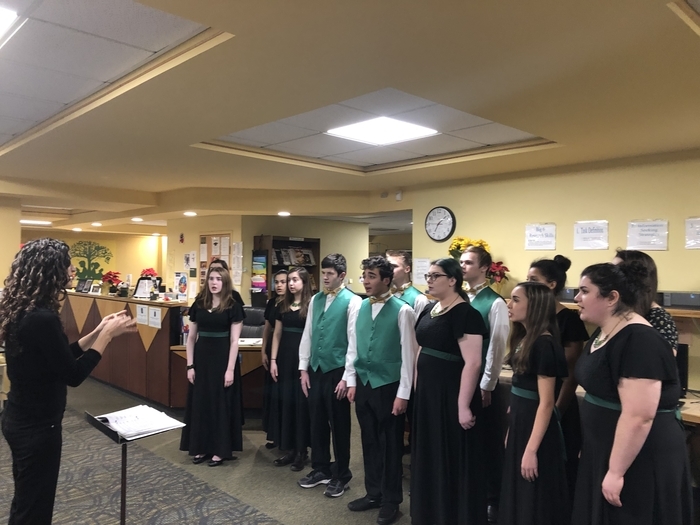 Sentinel Singers add joyous music to our School Committee meeting. Rhode Island Reads partner meeting - important work for all our state’s children. Children who do not read proficiently by the end of 3rd grade are four times more likely to drop out of high school than their peers. Power Restored! Power has been restored at LaPerche Elementary School. Thank you National Grid! Thanks as well to our facilities director, fire department, and school staff for developing contingency plans and for keeping students safe and comfortable during the outage. 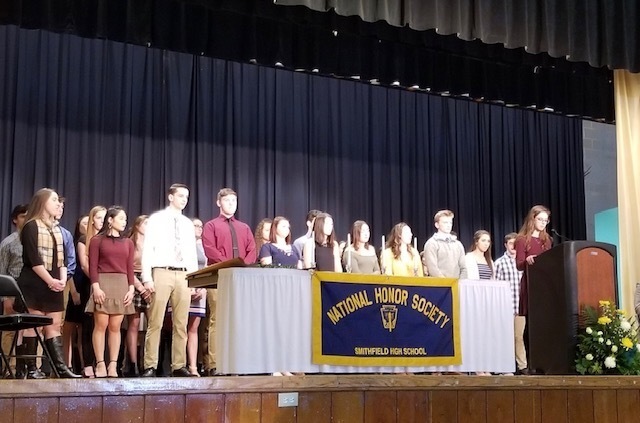 Richard Iannitelli was elected to the position of vice-chairperson and Jean Harnois was elected as secretary at the December 3rd meeting of the Smithfield School Committee. Rosemarie Cipriano was elected to the role of chairperson of the Smithfield School Committee at its December 3rd meeting. School Committee meets tonight at 7pm at the SHS media center. SHS is hosting a showcase on December 5 from 6-8 pm. The showcase provides information to students & families about programs at the high school. Both Smithfield residents and nonresidents are invited. Non resident students may be accepted into specialized, CTE programs at SHS. 2017-18 Annual Report Available...visit https://5il.co/5jig to see how Smithfield Public Schools continues to work to help all Smithfield's students to succeed! Copyright © Smithfield Public Schools 2019. All rights reserved.